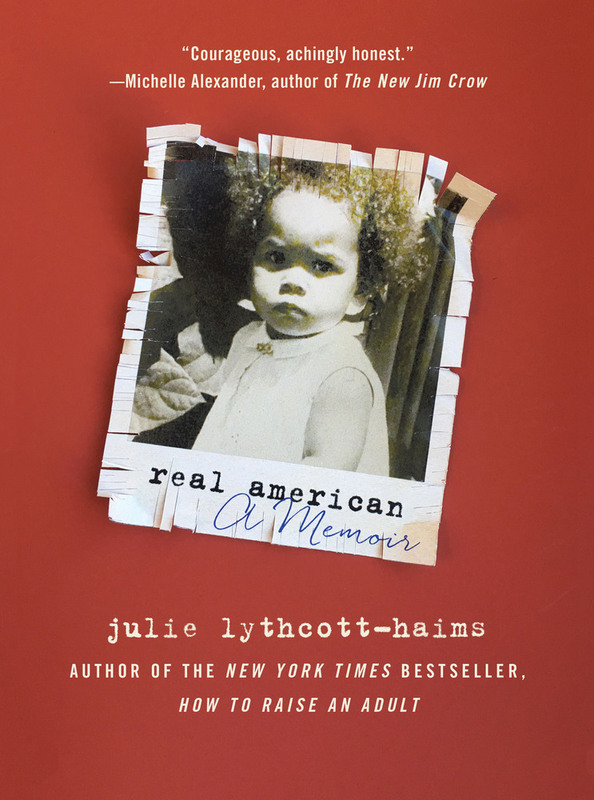 Bringing a poetic sensibility to her prose to stunning effect, Julie Lythcott-Haims briskly and stirringly evokes her personal battle with the low self-esteem that American racism routinely inflicts on people of color. The only child of a marriage between an African-American father and a white British mother, she shows indelibly how so-called “micro” aggressions in addition to blunt force insults can puncture a person’s inner life with a thousand sharp cuts. Real American expresses also, through Lythcott-Haims’s path to self-acceptance, the healing power of community in overcoming the hurtful isolation of being incessantly considered “the other.” The author of the New York Times bestselling anti-helicopter parenting manifesto How to Raise an Adult, Lythcott-Haims has written a different sort of book this time out, but one that will nevertheless resonate with the legions of students, educators and parents to whom she is now well-known, by whom she is beloved, and to whom she has always provided wise and necessary counsel about how to embrace and nurture their best selves. Real American is an affecting memoir, an unforgettable cri de coeur, and a clarion call to all of us to live more wisely, generously and fully. Julie Lythcott-Haims, author of How to Raise an Adult, served as dean of freshmen and undergraduate advising at Stanford University, where she received the Dinkelspiel Award for her contributions to the undergraduate experience. She holds a B.A. from Stanford, a J.D. from Harvard Law School, and an M.F.A. in writing from California College of the Arts. She is a member of the San Francisco Writers’ Grotto, and resides in the Bay Area with her husband, their two children, and her mother. This entry was posted in American Experience, Diversity, Memoir, Non-Fiction, Writing for Writers and tagged 2018, 2019, American Experience, diversity, julie lythcott-haims, memoir, nonfiction, race, real american, Writing for Writers on 10/20/2017 by macmillanacademic. 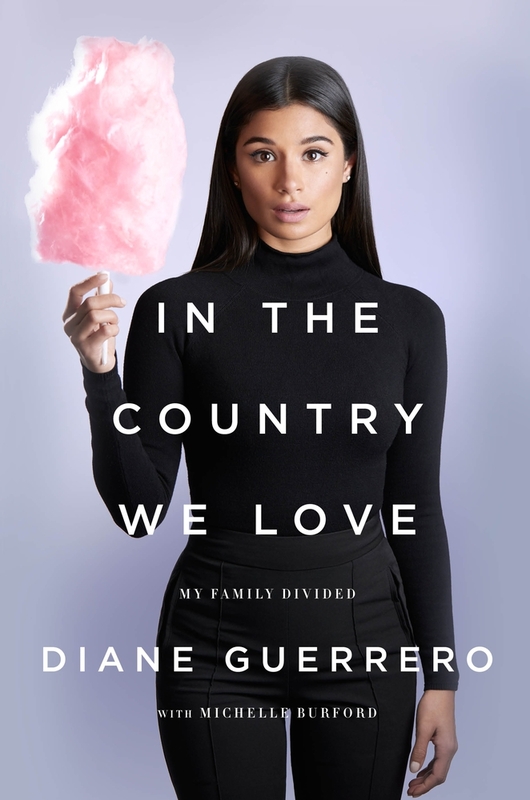 Diane Guerrero, the television actress from the mega-hit Orange Is the New Black and Jane the Virgin, was just fourteen years old on the day her parents were detained and deported while she was at school. Born in the U.S., Guerrero was able to remain in the country and continue her education, depending on the kindness of family friends who took her in and helped her build a life and a successful acting career for herself, without the support system of her family. In the Country We Love is a moving, heartbreaking story of one woman’s extraordinary resilience in the face of the nightmarish struggles of undocumented residents in this country. There are over 11 million undocumented immigrants living in the U.S., many of whom have citizen children, whose lives here are just as precarious, and whose stories haven’t been told. Written with bestselling author Michelle Burford, this memoir is a tale of personal triumph that also casts a much-needed light on the fears that haunt the daily existence of families like Guerrero’s and on a system that fails them over and over. Diane Guerrero is an actress on the hit shows Orange Is the New Black and Jane the Virgin. She volunteers with the nonprofit Immigrant Legal Resource Center, as well as with Mi Familia Vota, an organization that promotes civic involvement. She has been named an Ambassador for Citizenship and Naturalization by the White House. She lives in New York City. Michelle Burford is a founding editor of O, The Oprah Magazine and writer of many best-selling books including memoirs by Olympic gymnast Gabby Douglas, singer Toni Braxton, and Cleveland kidnap survivor Michelle Knight. This entry was posted in Activists & Activism, American Experience, Current Topics, Diversity, Memoir, Social Problems & Solutions and tagged 2017, 2018, 2019, activism, American Experience, citizenship, current events, Current Topics, diane guerrero, diversity, immigration, immigration reform, in the country we love, memoir, nonfiction, oitnb, social issues, social justice on 10/20/2017 by macmillanacademic. At twenty-three, Andrew Forsthoefel walked out the back door of his home in Chadds Ford, Pennsylvania, with a backpack, an audio recorder, his copies of Whitman and Rilke, and a sign that read “Walking to Listen.” He had just graduated from Middlebury College and was ready to being his adult life, but he didn’t know how. So he decided he’d walk. And listen. It would be a cross-country quest for guidance, and everyone he met would be his guide. Thousands shared their stories with him, sometimes confiding their prejudices, too. Often he didn’t know how to respond. How to find unity in diversity? How to stay connected, even as fear works to tear us apart? He listened for answers to these questions, and to the existential questions every human must face, and began to find that the answer might be in listening itself. Ultimately, it’s the stories of others living all along the roads of America that carry this journey and sing out in a hopeful, heartfelt book about how a life is made, and how our nation defines itself on the most human level. Andrew Forsthoefel is a writer, radio producer, and public speaker. After graduating from Middlebury College in 2011, he spent nearly a year walking across the United States. He first recounted part of that journey in a radio story featured on This American Life. He now facilitates workshops on walking and listening as practices in personal transformation, interconnection, and conflict resolution, and is currently based in Northampton, Massachusetts. This entry was posted in American Experience, Diversity, Global Perspectives, Non-Fiction and tagged 2017, 2018, 2019, American Experience, andrew forsthoefel, diversity, Global Perspectives, nonfiction, personal growth, walking to listen on 10/20/2017 by macmillanacademic. In 2004, four Latino teenagers arrived at the Marine Advanced Technology Education Robotics Competition at the University of California, Santa Barbara. They were born in Mexico but raised in Phoenix, Arizona, where they attended an underfunded public high school. 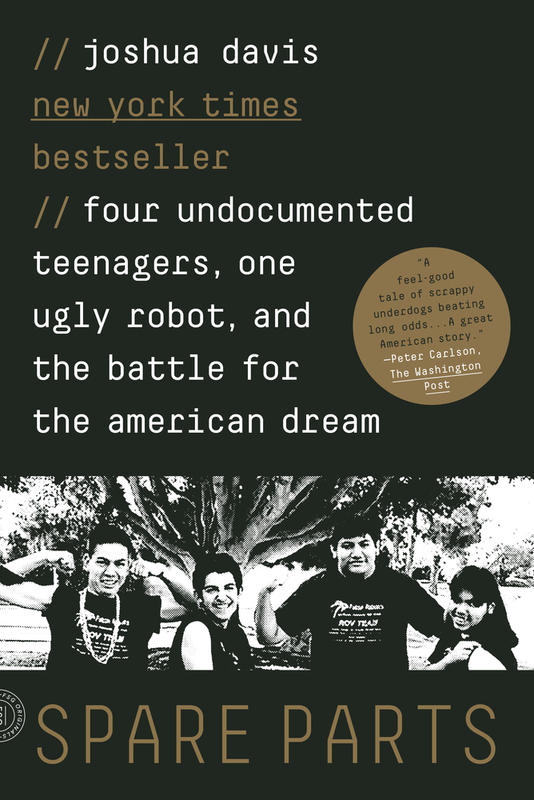 No one had ever suggested to Oscar, Cristian, Luis, or Lorenzo that they might amount to much—but two inspiring science teachers had convinced these impoverished, undocumented kids from the desert who had never even seen the ocean that they should try to build an underwater robot. And build a robot they did. They were going up against some of the best collegiate engineers in the country, including a team from MIT backed by a $10,000 grant from ExxonMobil. The Phoenix teenagers had scraped together less than $1,000 and built their robot out of scavenged parts. This was never a level competition—and yet, against all odds . . . they won! But this is just the beginning for these four, whose story—which became a key inspiration to the DREAMers movement—will go on to include first-generation college graduations, deportation, bean-picking in Mexico, and service in Afghanistan. Joshua Davis’s Spare Parts is a story about overcoming insurmountable odds and four young men who proved they were among the most patriotic and talented Americans in this country—even as the country tried to kick them out. Joshua Davis is a contributing editor at Wired and a cofounder of Epic magazine. He lives in San Francisco with his family. 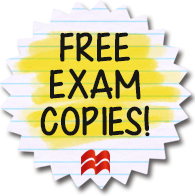 This entry was posted in American Experience, Current Topics, Diversity, Non-Fiction, Social Problems & Solutions, Student Success, Technology & Science and tagged 2016, 2017, 2018, 2019, American Experience, beyond the book, diversity, immigration, immigration reform, joshua davis, science, social issues, social justice, social problems, spare parts, STEM, student success, technology on 10/20/2017 by macmillanacademic. From one of the co-founders of the Black Lives Matter movement comes a powerful memoir, part personal history, part equal rights movement. Necessary and timely, Patrisse Cullors’s story asks us to remember that protest in the interest of the most vulnerable comes from love. Patrisse, along with Alicia Garza and Opal Tometi—the other leaders of the Black Lives Matter movement—have been regularly called terrorists and a serious threat to America; recently, a petition asked the White House to label the Black Lives Matter movement as a “terrorist group.” But in truth, they are loving, courageous women whose life experiences have led them to seek justice for those victimized by the powerful. In this meaningful, empowering account of survival, strength, and resilience, Patrisse Cullors and asha bandele seek to change the culture that declares innocent black life expendable. Patrisse Khan-Cullors is an artist, organizer, and freedom fighter from Los Angeles, California. Co-founder of Black Lives Matter, she is also a performance artist, Fulbright scholar, public speaker, and the 2017 Sydney Peace Prize recipient. 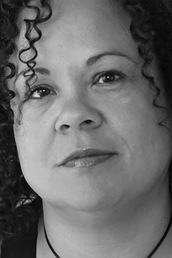 asha bandele is the award-winning author of The Prisoner’s Wife and four other works. Honored for her work in journalism and activism, asha is a mother, a former senior editor at Essence, and a senior director at the Drug Policy Alliance. This entry was posted in Activists & Activism, American Experience, Current Topics, Diversity, Memoir, Non-Fiction, Social Problems & Solutions and tagged 2018, 2019, activism, American Experience, asha bandele, black lives matter, current events, Current Topics, diversity, memoir, nonfiction, patrisse khan-cullors, race, social issues, social justice, social problems, when they call you a terrorist on 10/20/2017 by macmillanacademic. In these provocative, powerful essays, acclaimed writer/journalist Jeff Chang takes an incisive and wide-ranging look at the recent tragedies and widespread protests that have shaken the country. Through deep reporting with key activists and thinkers, passionately personal writing, and distinguished cultural criticism, We Gon’ Be Alright links #BlackLivesMatter to #OscarsSoWhite, Ferguson to Washington D.C., the Great Migration to resurgent nativism. Chang explores the rise and fall of the idea of “diversity,” the roots of student protest, changing ideas about Asian Americanness, and the impact of a century of racial separation in housing. He argues that resegregation is the unexamined condition of our time, the undoing of which is key to moving the nation forward to racial justice and cultural equity. 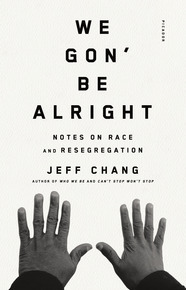 Jeff Chang is also the author of Can’t Stop Won’t Stop and Who We Be. 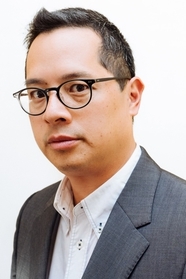 He has been a USA Ford Fellow in Literature and the winner of the American Book Award and the Asian American Literary Award. He is the executive director of the Institute for Diversity in the Arts at Stanford University. This entry was posted in Activists & Activism, American Experience, Current Topics, Diversity, Non-Fiction, Social Problems & Solutions, Uncategorized and tagged 2017, 2018, 2019, america, American Experience, black lives matter, diversity, essays, jeff chang, nonfiction, oscars so white, race, we gon be alright on 10/20/2017 by macmillanacademic. As Ferguson, Missouri, erupted in August 2014, and media commentators across the ideological spectrum referred to the angry response of African Americans as “black rage,” Carol Anderson wrote a remarkable op-ed in The Washington Post showing that this was, instead, “white rage at work.” Since 1865 and the passage of the Thirteenth Amendment, every time African Americans have made advances towards full participation in our democracy, white reaction has fueled a deliberate and relentless rollback of their gains. The end of the Civil War and Reconstruction was greeted with the Black Codes and Jim Crow; the Supreme Court’s landmark 1954 Brown v. Board of Education decision was met with the shutting down of public schools throughout the South while taxpayer dollars financed segregated white private schools; the Civil Rights Act of 1964 and Voting Rights Act of 1965 triggered a coded but powerful response, the so-called Southern Strategy and the War on Drugs that disenfranchised millions of African Americans while propelling presidents Nixon and Reagan into the White House. Anderson pulls back the veil that has long covered actions made in the name of protecting democracy, fiscal responsibility, or protection against fraud, rendering visible the long lineage of white rage. 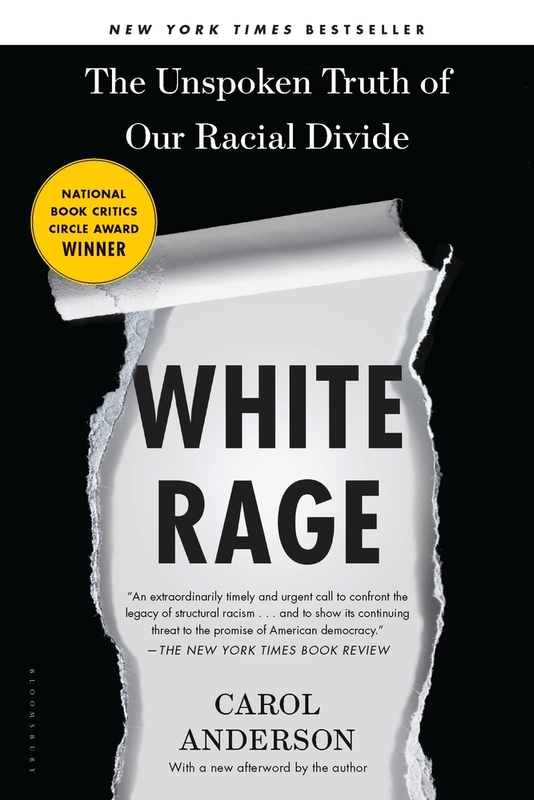 Compelling and dramatic in the unimpeachable history it relates, White Rage will add an important new dimension to the national conversation about race in America. Carol Anderson is professor of African American studies at Emory University. She is the author of many books and articles, including Bourgeois Radicals: The NAACP and the Struggle for Colonial Liberation, 1941-1960 and Eyes Off the Prize: The United Nations and the African American Struggle for Human Rights: 1944-1955. She lives in Atlanta, Georgia. This entry was posted in Activists & Activism, American Experience, Current Topics, Diversity, Non-Fiction, Social Problems & Solutions and tagged 2017, 2018, 2019, activism, african american history, america, american history, carol anderson, current events, Current Topics, diversity, history, nonfiction, race, social issues, social justice, social problems, white rage on 10/20/2017 by macmillanacademic.